The SAP S/4HANA Cloud SDK openSAP course is about to take off! Often, one size does not fit all. The age of digitization comes with an ever-increasing speed of changes. In consequence, enterprises need to be able to quickly react to changing demands and market conditions. Otherwise they will stay behind and lose to competitors who perform better. The capability to customize digital business processes has always been one of the core strengths of SAP ERP systems. 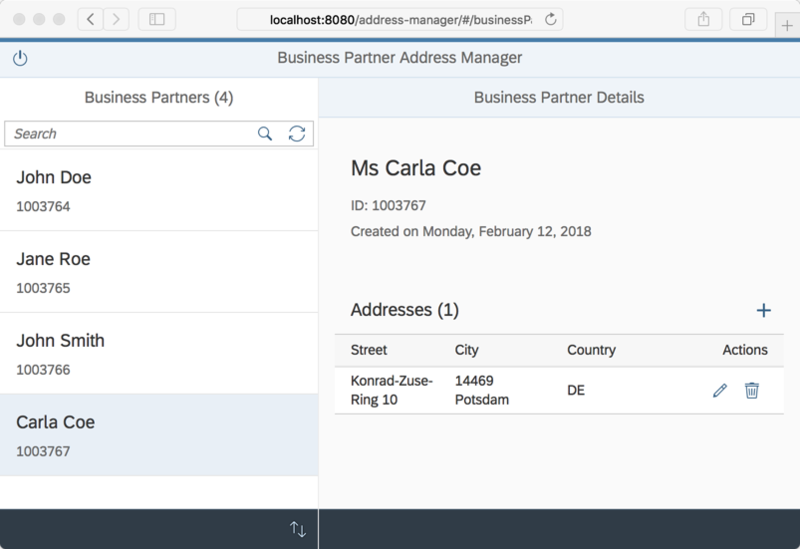 However, successfully transitioning to the age of cloud ERP and an intelligent suite of integrated products, requires new approaches to achieve the quality of extensibility That’s where the SAP S/4HANA Cloud SDK steps into the game. It enables the whole SAP ecosystem of partners and customers to conveniently build, test, and deliver differentiating extensions for SAP S/4HANA. It comes for free, is built on the shoulders of well-established principles and open source technologies, and can be used to extend all flavors of S/4HANA. 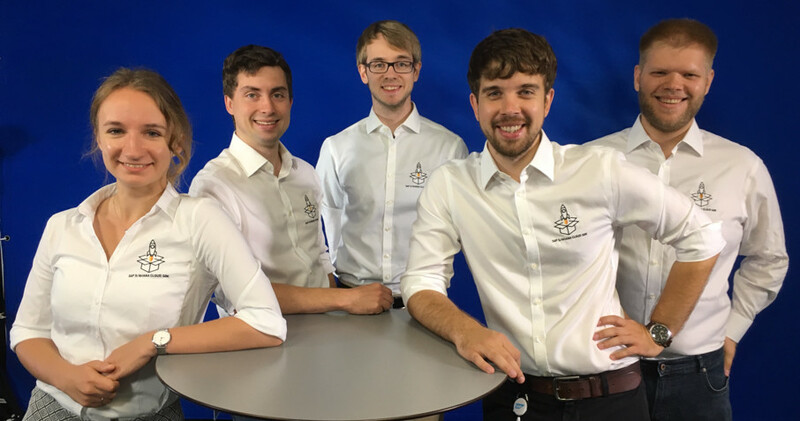 Today, our team is proud to announce that registration has opened for our free openSAP course “Create and Deliver Cloud-native SAP S/4HANA Extensions”. Our four-week long course is your chance to learn what it means to build a state-of-the-art SAP S/4HANA extension. Participating does not require access to a live SAP S/4HANA system. The course is relevant for all new developers and partners who consider starting the development of S/4HANA extensions. But it is also relevant for developers and partners who come from the background of building traditional ABAP-based extensions for on-premise ERP systems and who want to learn how this now works in the cloud. Kickstart a basic application based on project templates. Introduce functionality that seamlessly integrates SAP S/4HANA. Add qualities that make our extension ready for the cloud. Ensure a quick innovation cycle and unparalleled quality by leveraging the SAP S/4HANA Cloud SDK Continuous Delivery Toolkit. Add advanced capabilities using SAP S/4HANA business events and SAP Leonardo machine-learning. Good luck and have fun with our course. 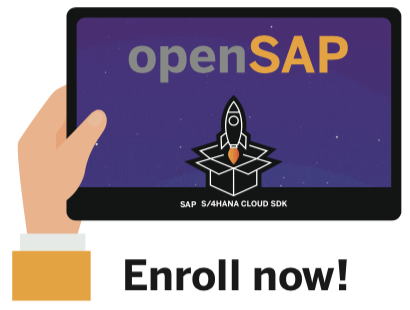 Click below and enroll now to kickstart your journey as a developer of game changing cloud-native SAP S/4HANA extensions. Sign up now and win our book! 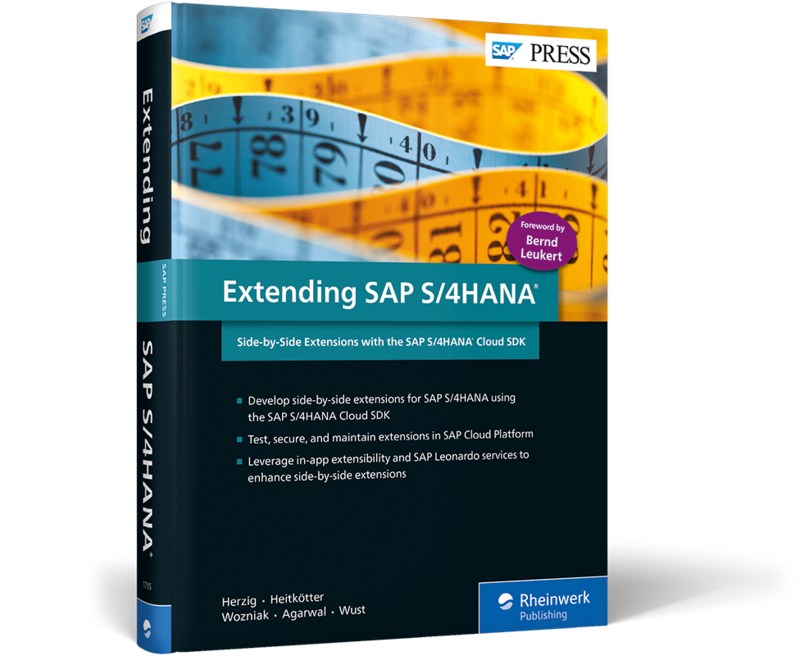 We are proud to announce that the best 35 course finishers will win a free copy of our SAP Press book “Extending SAP S/4HANA”. The winners will be determined based on the final course score* as shown in the record of achievement and notified via email. * In case of ties, i.e. multiple participants achieved the same score, we will favor participants who finished their final exam earlier.